Attentive Equations: random intuitions, readings, insights, spontaneous musings, hovering on the edge of awareness seeking form – all that’s awaiting to be imagined. Reverie intercepted by an image seeking form. The state necessary for the artist is attentiveness. Attentive Equations is an invitation into the artistic journey of Judith Reeve. Judith Reeve grew up along the Delaware River, not far from Chadds Ford. At the age of nine, she met Andrew Wyeth, and this meeting in hindsight, was a pivotal moment allowing her to recognize that painting could become a vital life-long pursuit. From 1990 to 1993, Judith studied at the Lyme Academy of Fine Art under the tutelage of Deane G. Keller, master draftsman and painter of the figure. The Academy based its curriculum on the 19th century French ateliers, where students worked intensively from the live model each and every day. It was here, in the former artist colony of the Lyme Impressionists, which included Childe Hassam, that Reeve began her pursuit of plein air landscape painting. The Lyme Impressionist sense of light and color and their ability to capture the movement of nature continues to influence her work today. 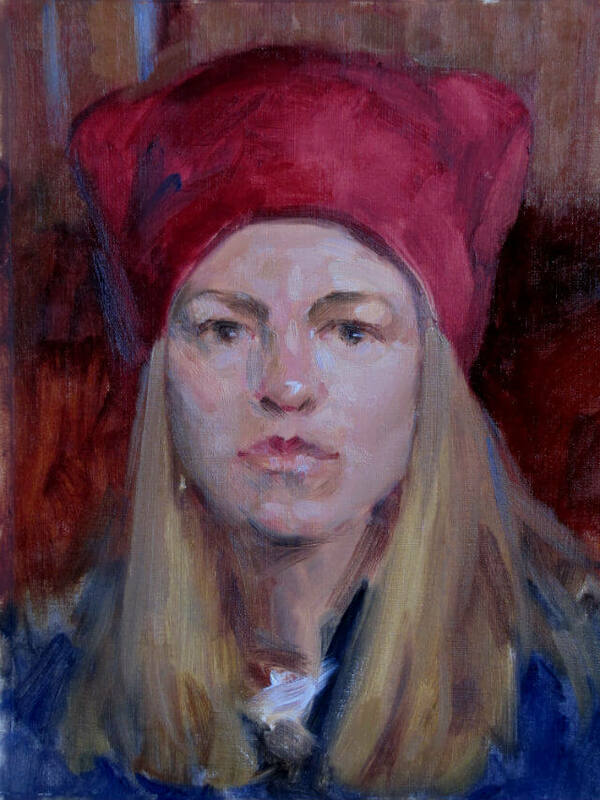 Reeve works in oils, generating her palette to achieve harmonious tones. She paints ‘alla prima,’ wet into wet, and lays colors on directly corresponding to her observation. Judith was awarded the prestigious John Stobart Painting Fellowship, and traveled to Italy to paint the environs of Rome and the hillsides of Tuscany. Travel has remained part of her painting routine, with trips to the Badlands of South Dakota, the Oregon coast, and the high desert canyons of New Mexico, as well as numerous excursions throughout New England, Upstate New York and Bucks County, Pennsylvania. Judith continues to be inspired by the works of American painters, most notably Robert Henri, the influential mentor to Bellows, Hopper, Sloan and Rockwell Kent. Judith spent four years independently studying Henri’s personal archive, which is housed at Yale’s Beinecke Library. The result of those studies is most notable in her strong independent sense of color. Currently she is writing a book to covey the value of Henri’s approach to color and to share her own insights from decades of practice. A major highlight in her career was a commission from Yale University to paint its first Chinese student. The Chinese Ambassador to the United States and numerous diplomats attended the unveiling of Yung Wing’s portrait. PBS as well as the Chinese media covered the event. In June 2006, Yale presented the President of China with a copy of the painting to hang in the Ministry of Culture in Beijing. Judith lives in the Sullivan County Catskills, having settled with her family in Fremont Center. She has found the farms and mountains of the Catskills to be replete with poetic images and dramatic moods.